"It is one of the most inadequate facilities in the country and needs to be replaced"
An Taoiseach Enda Kenny has described the emergency department of the west's biggest hospital as not fit for purpose and said staff there are working under "extraordinary conditions". 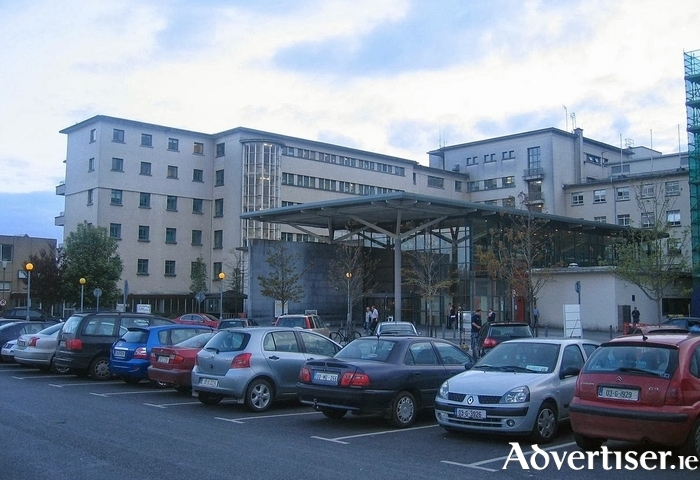 Mr Kenny told the Dail yesterday (Wednesday ) that employees of University Hospital Galway's A&E unit were working in one of the most inadequate facilities in Ireland. His comments were made during a heated discussion in the Dail with Sinn Fein leader Gerry Adams and Fianna Fail leader Micheal Martin. The Fine Gael leader's views reflect those of the outspoken former Mayor of Galway city, Fine Gael city councillor and former chairperson of the HSE West's regional health forum Cllr Padraig Conneely. He has repeatedly launched blistering attacks on the overburdened facility and insisted it was not fit for purpose. He also criticised previous Governments for failing to make it a priority. Nursing unions have also spoken out strongly about the unit with the Irish Nurses and Midwives Organisation recently voting overwhelmingly to strike. The action will be part of a nationwide protest. They say they are frustrated by continuing overcrowding, inadequate staffing levels and ongoing compromising of patient care at the Galway facility. Up to 100 nurses working in the EDs of UHG and Portiuncula Hospital will take part in the industrial action, involving the withdrawal of labour, which will begin on Tuesday December 15. The Taoiseach stressed yesterday that the Galway ED needs to be replaced. "The staff work under extraordinary conditions," he said. "It is one of the most inadequate facilities in the country and needs to be replaced." Meanwhile Fianna Fail leader Micheal Martin pointed out the extensive geographical area served by University Hospital Galway's emergency department. He said people from the north-west and the western seaboard use the facility. "The community nurses I met say people out in the community are begging them not to be sent to the emergency department in the hospital because of circumstances and conditions," he added. The INMO said last week that a new ED, which has "been on the cards for a while" is a key element in rectifying the problems which have dogged the Galway ED for years. The Fianna Fail leader Micheal Martin told the Dail yesterday that replacing the emergency department was not included in the capital plan. The Taoiseach said he was not aware of what stage the design was at but said a new department was very necessary.